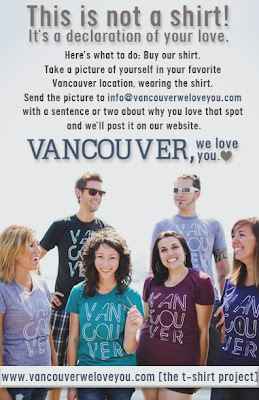 It's about this time three years ago that we picked up a box of "VANCOUVER" printed t-shirts, gathered our friends for a photo and video shoot, and kicked off this little project we called "Vancouver, we love you [the t-shirt project]." We didn't really have any expectations after we stocked the store and clicked "post." All we knew then was that we loved this city and were proud to call it home. We just hoped that maybe there were other's that would want to join us in our declaration. Fast forward three years and we've created an organic community of hundreds of Vancouver lovers and project supporters spanning the globe. 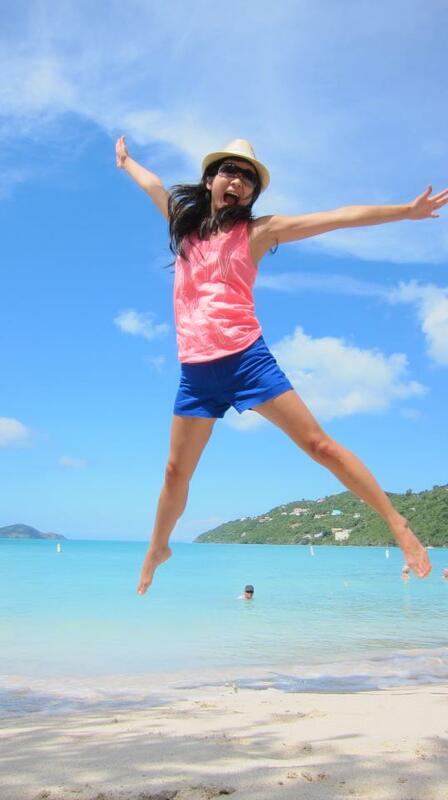 Our shirts are delivered to people down the road and mailed across the oceans far and wide. Supporters have sent in pictures of themselves wearing the shirt in their favorite spots around Vancouver, across Canada, and places far and wide like Japan, India, Greece, China, Australia, Thailand, Kenya, and many more. All with the same comments, "someone stopped me and said they liked my shirt and love Vancouver!" Beside gathering a scrapbook full of photos from supporters, we've also built some amazing partnerships with companies that share our passion of grabbing life with both hands and enjoying the moments. We started our Great Adventure Club with the mission of experiencing life to it's fullest and exploring the great outdoors. A massive thank you to Red Paddle Co, Grouse Mountain, Cypress Mountain, North Shore Paragliding, Snow Limo Tour, FlyZone Bodyflight, KIND Snacks, Stanley Park Brewery, Whistler World Ski And Snowboard Fest, Whistler Brewing, and all the other great organizations that have helped us leap off mountains, zip through forests, attempt to fly, and enjoy the best parts of this city. We want to thank everyone that has supported our project, sent in a photo, joined us on an outdoor adventure, or bought a shirt. With every shirt sale we've also been able to continue our financial commitment of giving 10% to Covenant House Vancouver. We love this city. We love you. If you're not a friend of ours on Facebook yet, make sure to 'like' us and check out more of the photo albums, and "follow" us on Twitter to join the conversation. We also love Instagram, if you're into that too. And if you've yet to join the project, pick up a Vancouver, we love you shirt or tank and help us keep this story going….